Cyanotypes are the perfect introduction to alternative processes. Affordable, unique, and easy to apply to a multitude of substrates, try your hand at making your own in one of our workshops. *For more information on the history of cyanotype and the print itself read The Atlas of Analytical Signatures of Photographic Processes: Cyanotype by Dusan C. Stulik and Art Kaplan. 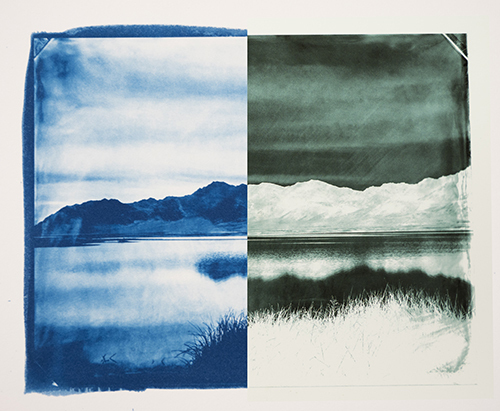 Cyanotype requires contact printing, meaning the negative is not enlarged but printed 1:1 on the paper. With calibrated digital negatives we can take any of your digital images and output the perfect negative for your final print. Print sizes are dependent upon the file size of your digital image. Our calibrated digital negative are designed to elongate the tonal range in process known for being very compressed. 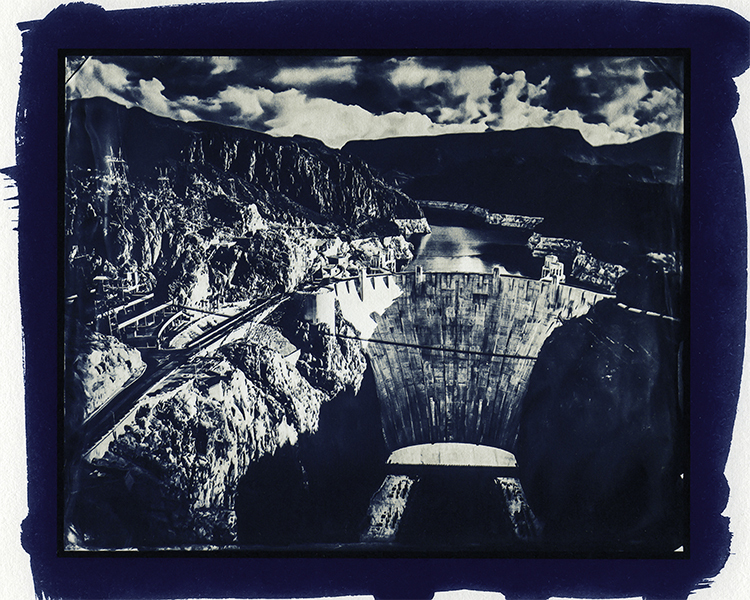 Perhaps you want the tonal range of a platinum palladium print with the rich blue of the cyanotype. Easy. Cyanotypes have a matte surface. We can add a glossy finish with a final coat of gum arabic, enhancing contrast. Bring a friend and join us for this very fun session making blue prints, called cyanotypes, on scarves you can wear or give as a gift. Invented in 1843, cyanotype is a chemical photographic process that is only sensitive to UV light and is famous for its blue color. It is perfect for beginners as it is also one of the cheapest and most user-friendly of the chemical photographic processes. In this mini-workshop you will coat either a silk or cotton scarf (your choice) with cyanotype and print photograms (a term for using objects as negatives). Participants are encouraged to bring their own objects for photograms. Workshops have no minimum of enrollment requirement but the maximum is 6 students. Crafternoons are non-refundable though we will work with you to reschedule when possible. The Utah State Capitol is a neoclassical revival, Corinthian-style building designed by architect Richard K.A. Kletting and built between 1912 and 1916. The interior features incredible architectural details and art while the grounds feature historical markers, Yoshino cherry trees, and an expansive view of Salt Lake City. For this Photo Safari we will spend Day 1 at the capitol exploring the grounds and photographing. On Day 2 we will make digital negatives from our digital images and print them in cyanotype —one of the earliest photographic processes to be invented and famous for its blue color. Digital cameras are required as there will not be enough time to develop film. Cell phone cameras are welcome and work really well on Safari. Workshops have no minimum of enrollment requirement but the maximum is 6 students. Photo Safaris are non-refundable though we will work with you to reschedule when possible. Located at 749 East 500 South in Salt Lake City, Gilgal Sculpture Garden was created by Thomas Battersby Child, Jr. in the mid-twentieth century and is comprised of 12 sculptures and 70 stone engravings. For this Photo Safari we will spend Day 1 at Gilgal Garden exploring the various imagery and photographing. On Day 2 we will make digital negatives from our digital images and print them in cyanotype —one of the earliest photographic processes to be invented and famous for its blue color. Digital cameras are required as there will not be enough time to develop film. Cell phone cameras are welcome and work really well on Safari.